* Always on top mode. 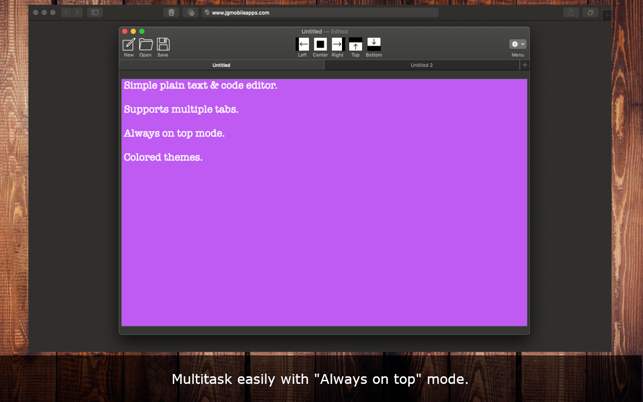 Allows the app to always be placed over other windows while multitasking and taking notes. 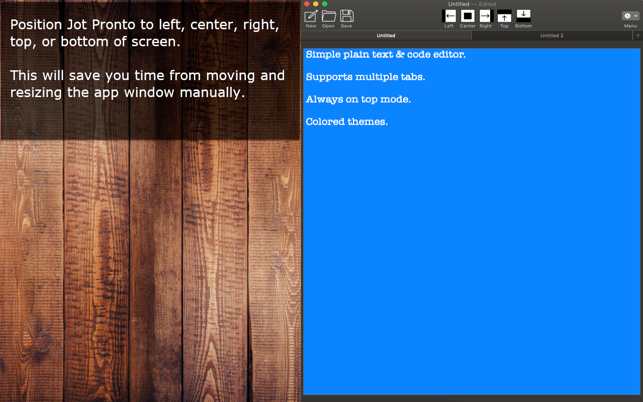 * Easily position Jot Pronto to left of screen, right, top, bottom, and even center of screen. * Automatically saves app window position, size, theme, font name, font size, font color, and always on top preferences are always remembered for you every time the app is opened again. 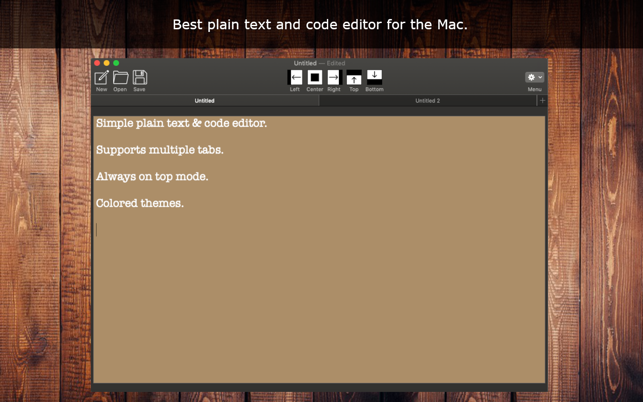 * Any changes made to the toolbar is automatically saved. * Automatically saves font name, size, and text color. 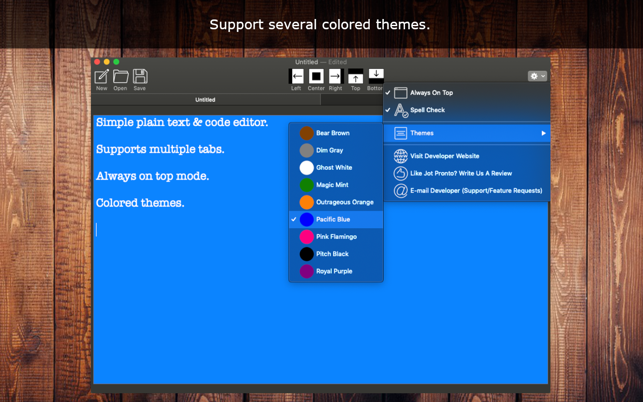 * Added more colored themes of purple, orange, and brown. Good concept. Needs a some improvement. I was tired TextEdit needing mutiple clicks for just for a fast note. So a big positive, enough to be 4 stars and ongoing use. BUT even though you can change the menu, it appear to be only for the one use then back to default. So some way to make the menu changes stick. (maybe I’m missing something) Maybe the spell checker could be include in the menu bar in addition to the pull down menus. A help file or help forum would be nice. But definately worth the couple of dollars. It gets 90% of my use now. Thank you for writing a review & support DrDanCFT! I'll work on this right away. You can also reach me at support@jgapps.biz for feature requests and making improvements.